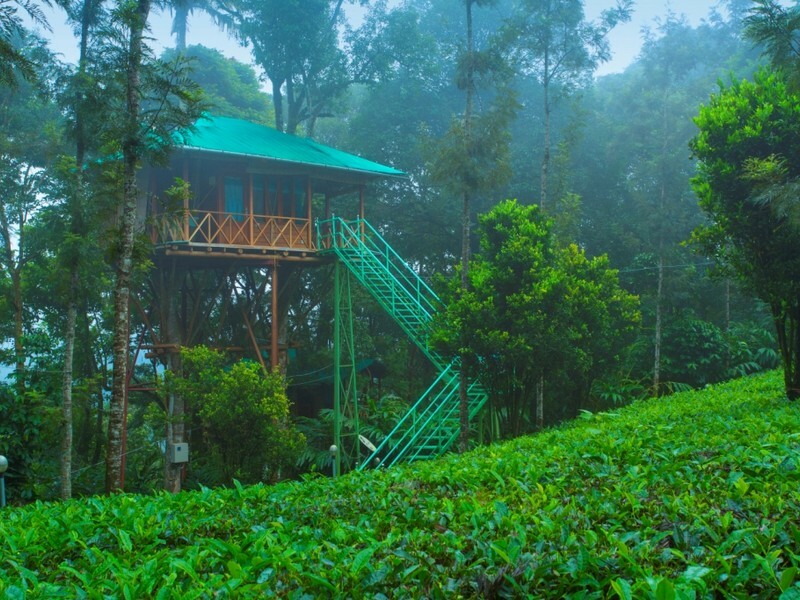 Distance: (By Road: 60kms/ 2.5 hrs) When you arrive at Kochi International Airport you will be met by our representative and we will proceed for Athirappally ,the majestic waterfall destination for checking into the rainforest resort. 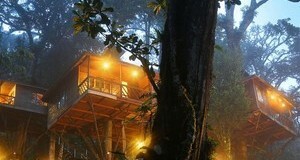 The Rainforest boutique resort is situated in the Sholayar range of virgin rainforest. That is why conservation is high on the priority list and we ensure that we are up to date with eco-friendly practices.Overnight at the Treehouse in Rainforest Boutique Resort. Meals: Breakfast Distance: NA Start the early morning for a hike down to Athirappally waterfalls. Come rain or shine, the Athirapally waterfalls provide you a majestic view each time. Partly misted by great grey clouds or twinkling under the sun, it’s a different, yet awe-inspiring, experience each time. Which is why the holiday season at Athirapally runs all through the year. Enjoy the hiking down the hill to view the waterfalls with a near view and in the afternoon proceed to Vazhachal waterfalls which is the delight of a biologist.Vazhachal falls takes you to pristine beauty with nature’s own landscaping. With the abundant flora and even herbal plantation maintained by the forest department, Vazhachal is a Botanist’s treasure trove. 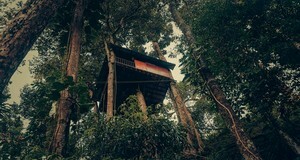 Return to the Treehouse in Rainforest Resort after the adventure filled day for overnight stay. Meals: Breakfast Distance: (By Road: 145kms/ 4 hrs) Enjoy the morning at your leisure and checkout of the rain forest resort after breakfast. We will pick you up after a wonderful time you spend at few of the best destinations & resorts in Kerala for your return journey. Shopping on the way. Visit the spectacular area of Marine Drive, Chinese Fishing Nets, Bolghatty Island, Willington Island and Kochi Harbour if your time permits. Departure in the evening.We will drop you back for the departure flight back home from Kochi for your trip back home, feeling contended about a wonderful honeymoon you spent at God’s Own Country like so many of our guests.